Organizations live and die on the decisions of their leaders. Every day, executives have to make innumerable decisions. Some of these decisions will determine the very survival of their businesses or their own careers. This programme will help participants make decisions that produce better outcomes for them and their organizations. 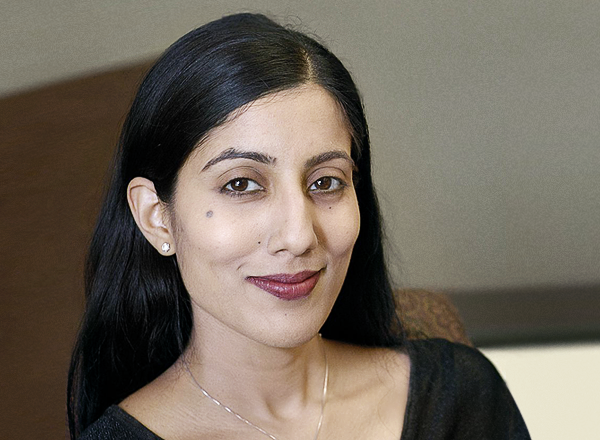 Tanya Menon is Faculty Affiliate of the William Davidson Institute at the University of Michigan and Associate Professor at Fisher College of Business, Ohio State University. Her research on decision making, culture, teams, and networks has been cited in various media outlets including NPR, the Wall Street Journal, Boston Globe, The Economist Intelligence Unit, The Times of London (UK), The Guardian (UK), and The Times of India. She has taught courses on Persuasion, Negotiations, Teams, and Organizational Behavior and was the winner of the 2017 Best executive MBA professor and 2013 Best Elective Award at the Ohio State University's Fisher School of Business. As Associate Professor at the University of Chicago Booth School of Business, she won the teaching award in 2006 (working professionals) and 2007 (full time MBAs). She has conducted executive programs all over the world, and done corporate consulting on behavioral decision making and persuasion. Menon’s book with Dr. Leigh Thompson, Stop Spending, Start Managing: Strategies to Transform Wasteful Habits was featured as a talk at Google and used at McKinsey Academy. Her TED talk has reached over 1.6 Million views and was named as one of the top 7 TED talks of 2018 (so far) by Entrepreneur.com. She is currently also Associate Editor at Management Science Journal, and was elected a member of her college’s Executive Committee. Menon earned a bachelor's degree in sociology from Harvard University in 1995, and her Ph.D. from Stanford Graduate School of Business. Prior to graduate school, she was a research assistant in INCAE Business School in Costa Rica and an intern in Morgan Stanley's London office. We will explore how to become a faster, smarter decision maker as an individual, interpersonally, and in your groups and teams. We will begin by exploring the biases that emerge in individual judgments. Then, we will consider interpersonal processes in negotiation and persuasion. We will conclude by considering the unique challenges groups face in decision making that can cause them to squander their collective resources. We offer practical suggestions that allow groups to maximize their collective intelligence and their creative potential. This two-day training course is designed for executives in, or aspiring to, positions of leadership. Those who can make good decisions in ambiguous, uncertain, and complex environments are uniquely positioned to lead and create value. This program is designed to help managers understand the obstacles and develop the tools for decision-making in business settings. Programme has a direct application to negotiations. It also covers: anecdotal ideas about when intuition works, how the mind simplifies perception: selective perception; automaticity/mindlessness; heuristics/biases with clear business implications tied back to the demonstrations (e.g. hiring, negotiations, and persuasion). It also covers group decision-making pitfalls and best practices. The program will show participants when and why fast decision can be accurate and how to “educate your intuition” and put it to the test. Ultimately, it will show individuals and companies how to improve decisions through these methods. It utilizes reflection exercises and surveys to provide individual feedback on decision- making styles, which participants discuss and compare within the class.